THE LIST OF INGREDIENTS is based on the relative amounts (by weight) of the ingredients in descending order. However, the manufacturer can use the pre-processing weight for the ingredients even though some ingredients such as meat and fish lose a great deal of water (and thus weight) during processing. As a result, the relative amount of such ingredients in the final product may not be number one and may in fact be quite low on the list. In addition, the ingredient list in no way reflects the quality of a given ingredient. THE GUARANTEED ANALYSIS does not take into account digestibility. It is possible to formulate a diet based on shoe leather that would have an acceptable guaranteed percentage of protein but your pet would be unable to digest it! DOGS NEED HIGH PROTEIN MEAT OR FISH BASED DIETS BECAUSE THEY ARE CARNIVORES LIKE THEIR WOLF ANCESTORS. A comparison of the genome of the wolf and the dog shows a clear change in the genes concerned with digestion. Dogs have an increase in genes facilitating carbohydrate digestion. Since meat or fish are expensive ingredients, diets high in these ingredients are more costly. IT IS TRUE, however, that SENIOR DOGS do not utilize protein in the diet as efficiently as younger animals and they do require a diet with increased protein levels. GRAIN FREE DIETS ARE HEALTHIER. While uncooked grains are poorly digestible, dogs and cats can digest properly cooked grains with an efficiency of greater than 90%. Grains contain essential fatty acids important for a healthy skin and coat and fiber which can be beneficial for intestinal health. Allergies to grains are extremely rare. RECENT REPORTS HAVE IMPLICATED GRAIN FREE DIETS IN THE DEVELOPMENT OF A PARTICULAR TYPE OF POTENTIALLY FATAL HEART DISEASE IN BREEDS OF DOGS NOT COMMONLY AFFECTED BY THIS DISEASE. Research on this problem continues but it appears that the diets implicated are manufactured by smaller companies. MEAT OR FISH MEAL ARE INFERIOR INGREDIENTS. The term meal simply means that the product has been dried. Since all products are dried during the processing of dry food this is of little relevance. It is easier to produce dry kibble using such products than using the fresh ingredient, however the quality of such products may vary. Utilizing whole meat or fish makes the food more expensive. CHICKEN BY PRODUCTS ARE INFERIOR INGREDIENTS. Chicken by products consist of parts of the chicken, such as heads, necks, feet, undeveloped eggs, liver, gizzards, and cleaned intestines. Feathers are excluded, except in such amounts as might occur unavoidably during processing. Wild carnivores regularly consume such parts of the carcass. If they did not consume these organs, their diet would not be balanced. Again, quality may vary. MEAT BY PRODUCTS ARE INFERIOR INGREDIENTS. Meat by products include lungs, spleen, kidneys, brain, liver, blood, bone, stomachs and intestines cleaned of their contents. It does not include hair, horns, teeth and hoofs. Wild carnivores regularly consume these organs which are often of higher nutritional value than meat alone. Again quality may vary. ANIMAL DIGEST IS A LOW QUALITY INGREDIENT. Animal digest consists of animal protein such as muscle and soft tissue from USDA-inspected facilities. These ingredients are then “digested” to break the protein down into smaller pieces similar to what happens during the normal process of digesting food. The final product is either a liquid or a powder. It is extremely palatable and is often used in small amounts to enhance the flavor of dry foods. CORN IS A POOR QUALITY INGREDIENT OR JUST A FILLER. Corn which has been processed for use in pet foods is highly digestible and is high in protein as well as containing many beneficial vitamins and antioxidants. That is one of the reasons it is so commonly used in formulating pet foods. Food allergy to corn has only been proven in a few cases in dogs and it has never been documented in cats. Quality, as always, may vary. GLUTEN IS HARMFUL Gluten is a protein derived from many grains after all the starch has been removed. It is highly digestible and provides key amino acids (the building blocks of protein). People with gluten intolerance develop damage to the intestinal tract when gluten is consumed. This syndrome, called Celiac disease affects approximately 1% of Americans. A condition similar to celiac disease has been identified in a small subset of Irish Setter dogs, it is extremely rare. SOY IS AN INFERIOR INGREDIENT Soy is a source of high quality protein, it also contains high levels of vitamins, fatty acids, antioxidants and has good digestibility. The whole bean does contain some ingredients that interfere with digestion so the products used in pet foods are treated to remove these. This is why the label may state “soy protein isolate”. HIGH PROTEIN = HIGH ENERGY. Protein has the same amount of calories (energy) as carbohydrates. Fat yields the highest amount of energy, roughly 1 and ¼ times the amount in protein and carbs. Moreover, extra protein does not lead to an increase in muscle mass, only exercise will do that. These companies do a great deal of research. This is not only important in the development of nutritional diets, but also helps expand our knowledge about various diseases and how dietary manipulation may help in the management of such diseases. IT IS EXTREMELY DIFFICULT TO OBTAIN FUNDING FOR VETERINARY RESEARCH AND THESE COMPANIES HELP TO FILL THAT VOID. MANY OF THESE COMPANIES ALSO HELP PETS IN NEED, FOR EXAMPLE IN 2017 PURINA GAVE 17 MILLION DOLLARS TO ANIMAL SHELTERS. These companies are committed to providing the best possible care and facilities for their research animals including state of the art housing, lots of socialization, play opportunities and TLC. They do not do studies that are painful or invasive or that result in euthanasia. Smaller companies are less likely to have their own animal colonies. They may choose to not do feeding trials or they may outsource them. Companies that use outside facilities for their feeding trials cannot vouch for the quality of care the animals receive. I personally know of one such facility, located in this state, where the animals are kept in appalling conditions. THIS DOES NOT MEAN THAT I ENDORSE EVERY SINGLE DIET THAT THESE COMPANIES PRODUCE. 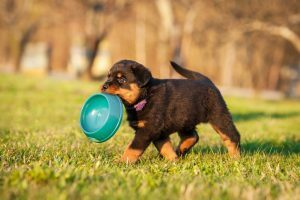 If you find a certain pet food appealing, don’t hesitate to contact the manufacturer and ask them how they can support the various claims they have made on the label. Ask us for a handout from the World Small Animal Veterinary Association that has a list of questions you can ask the manufacturer.